The venerable Toyota Corolla has enjoyed the title of the world’s most popular compact for almost a half century — 47 years to be exact — with good reason. Since debuting in 1966 as a roller skate-sized compact, Toyota has sold 40 million Corollas worldwide, with continuing strong sales. 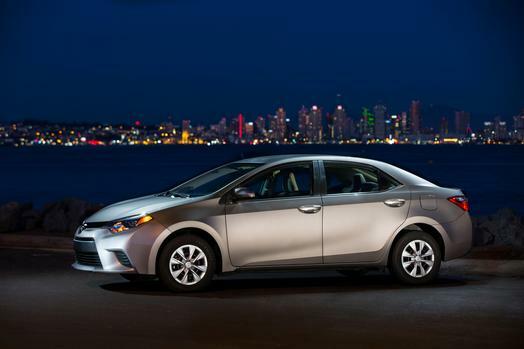 The 2014 model marks the Corolla’s 11th generation, and its first redesign since 2008. Following Toyota President and CEO Akio Toyoda’s decree that Toyota “…will build no more boring cars,” the 2014 Corolla is certainly more stylish than any previous Corolla. CEO Toyoda keenly understands that every single upgrade — large or small — is critical to maintaining Toyota’s pole position in the red-hot compact market segment. 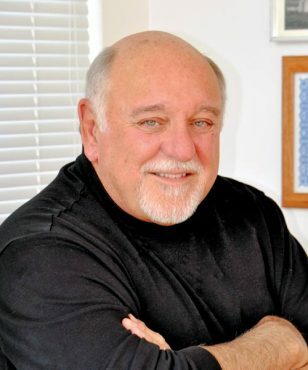 Facing intense competition from not just traditional rivals Honda and Nissan, but Kia, Hyundai, Subaru, and more recently Chevy and Buick, living up to Toyota’s reputation for mechanically bulletproof, affordable, quality compacts is more critical than ever. The 11th-generation Corolla faithfully follows that mantra. Model Lineup: The base 2014 Toyota Corolla L comes with a 1.8-liter, 132 horsepower, DOHC 16-valve, inline-4, with a 6-speed manual or optional 4-speed automatic transmission, with electric power steering, front disc brakes, rear drum brakes. Standard are manually controlled A/C, fabric upholstery, six-way driver seat, four-way passenger seat, 60/40 split rear seats, power windows with driver-side one-touch up/down, tilt/telescopic steering-wheel with audio controls, four-speaker AM/FM/CD, auxiliary USB 2.0, audio and iPod jacks, Bluetooth, voice command, LED lowbeam headlights, halogen highbeams, LED daytime running lights, color-keyed outside mirrors, ECO indicator, 15-inch wheels. The Corolla LE upgrades to continuously variable transmission (CVT), automatic climate control, six-speaker audio multimedia with 6.1-inch touchscreen, voice recognition, steering wheel voice command controls, Bluetooth audio streaming, chrome interior trim, rearview camera, variable intermittent wipers, cruise control, automatic power door locks, remote keyless illuminated entry, 16-inch wheels. The Corolla LE Plus package upgrades to 15-spoke wheels, fog lights. LE Premium adds fog lights, heated power seats. Corolla LE Eco — our test vehicle — uses the 140-horsepower Valvematic 1.8-liter DOHC 16-valve engine, adds a rear spoiler, 15-inch wheels with wheel covers. LE Eco Plus adds custom 10-spoke 16-in. wheels, chrome beltline, ECO Drive buttons. LE Eco Premium adds custom 10-spoke 16-inch wheels, ECO Drive buttons, 8-way heated power seats. The top-of-the-line Corolla S comes with the CVT with Sport drive mode or a 6-speed manual, integrated fog lights, chrome grille surround with piano-black insert, heated power outside mirrors with turn signals, rear spoiler, 16-inch wheels, sport bolster seats with sport fabric insert and passenger seatback pocket, leather wheel with paddle shifters, multi-information display, one-touch lane-change turn signal, warning messages. S Plus upgrades with seven-spoke 17-inch wheels, rear disc brakes. S Premium includes eight-way heated power seats. Standard safety features on all models include anti-lock brakes (ABS), electronic brake-force distribution (EBD), brake assist, Smart Stop Technology (SST), electronic stability control (VSC), traction control, tire pressure monitor, advanced 8-airbag system, seatbelt pretensioners, lower anchors and tensioners for children. A rearview camera is included on upper trim levels. Walkaround: No one has ever accused Toyota of being a style leader, yet the 2014 Toyota Corolla, with its distinctive front fascia design, boasts well-rounded contemporary small-car bravura. With the wheelbase a noticeable 3.9 inches longer, it’s also almost half an inch lower and wider as well. So while it’s still a compact, its exterior proportions have changed to improve appearance, utility, and interior room, resulting in an impression of sleekness never before associated with Corolla design. The body’s clean lines, which include LED headlights, produce extremely low coefficient-of-drag numbers, translating into considerable fuel mileage savings at highway speeds. Interior: The increased length of the 2014 Corolla creates a considerable increase in comfort and cabin space — including a genuinely impressive increase in rear seat legroom. The front seats, which featured the optional Softex fabric, are firm, comfortable, and supportive with well-fitted side bolsters and good lumbar support, while the increase in length adds front seat adjustment travel. Interior materials are high quality, with nice soft-touch surfaces throughout. Instrumentation on our Corolla LE was a three-gauge layout that includes the speedometer and tach, along with fuel and other standard gauges that are easy to read in low light or bright sun. There’s even more trunk space than before thanks to Corolla’s increased length. Trunk space has grown to 13 cubic feet, and the 60/40 split rear seats allow stowing long cargo. 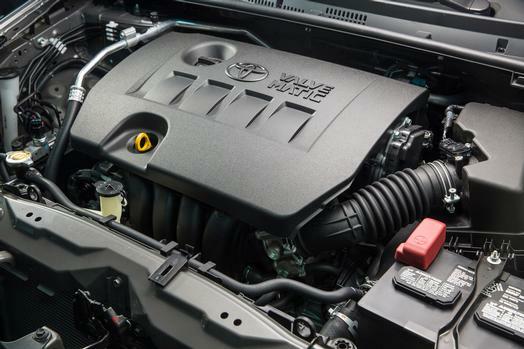 Under The Hood: Despite utilizing the same 1.8-liter inline-4 powerplants as the 2013 models, the new Corolla boasts a small gain in EPA fuel mileage numbers across its entire line. Our test vehicle Corolla LE Eco featured the new Valvematic system, which delivers an EPA-certified 42-mpg Highway rating — the highest among gas-powered compacts using an automatic transmission. Behind The Wheel: The new 2014 Corolla exceeded our expectations, and delivers an undeniably improved driving experience. Handling and braking are much improved and the new Corolla’s electric power steering was more sensitive than anticipated, with good feel and responsiveness. The brakes, despite their rear drums, delivered straight and true braking, although like most small cars, produced very pronounced dive under heavy braking. Though generating a fair amount of road noise on less than ideal pavement, the ride was smooth and controlled even at freeway speeds and more. Cornering was excellent, minimizing body roll, so while it’s no sports sedan, the Corolla’s athletic driving feel is akin to some higher-priced small European sedans. 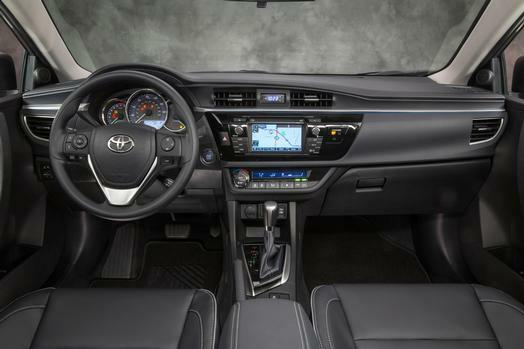 Whines: The heavy-looking black rectangular mass of dashboard seems out of place in a car this size, taking far more cabin space than it should, with none of the fluidness that embodies the rest of the new Corolla. Bottom Line: Strange as it may sound, the 11th generation, 2014 Corolla is pretty fun to drive. With new levels of comfort and dramatic improvements in ride and handling, it‘s no longer just basic transportation. It’s attractive price point — $23,270 as tested — coupled with traditional Toyota quality and reliability — make it a tough competitor — and a great value.